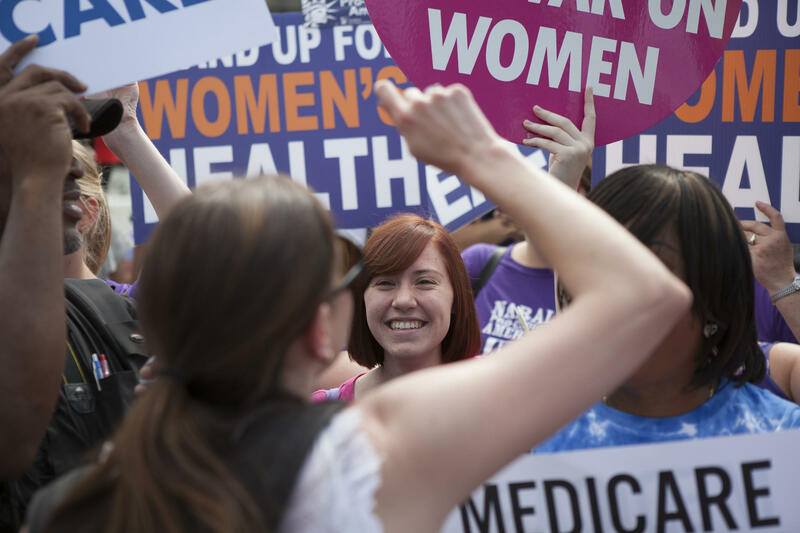 Supporters of President Obama's health care overhaul, cheer outside of the Supreme Court on Thursday, after the court upheld a majority of the law. 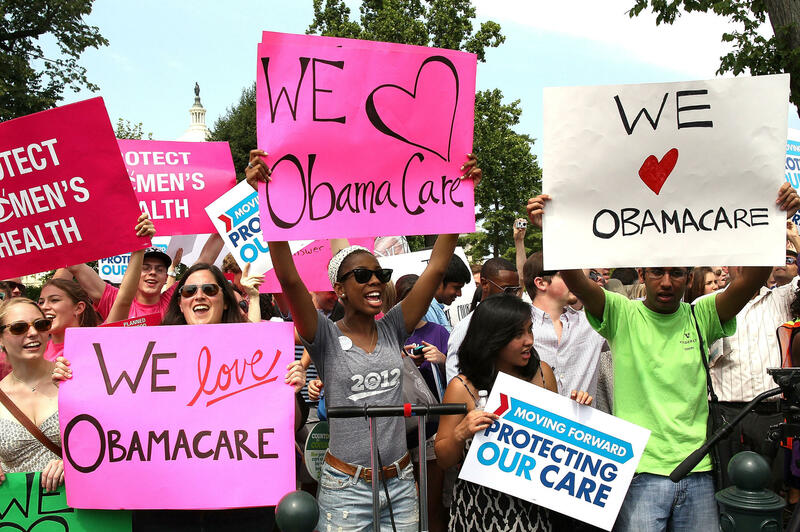 Supporters of President Obama's Affordable Care Act celebrate outside the Supreme Court. 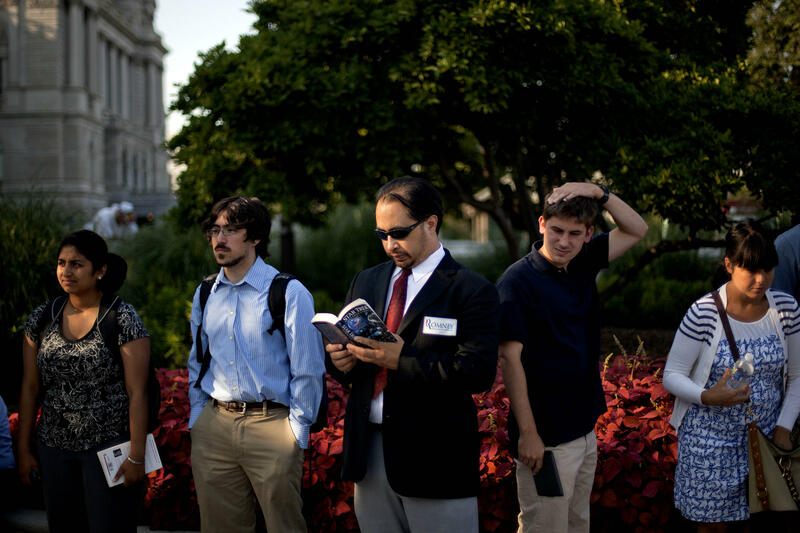 Across from the celebration, protesters voiced their opposition to the court's ruling. 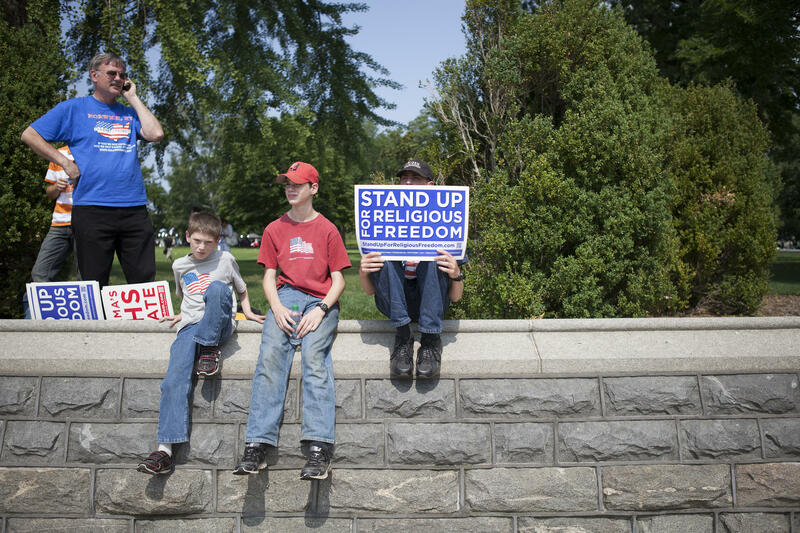 Many Americans still question what the health care law will mean for religious groups and organizations. 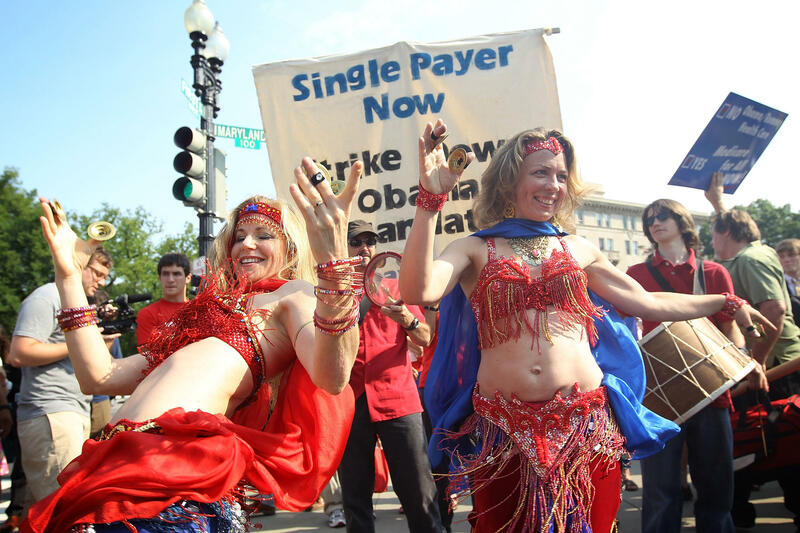 Two supporters of the law belly-dance as they demonstrate in front of the Supreme Court. 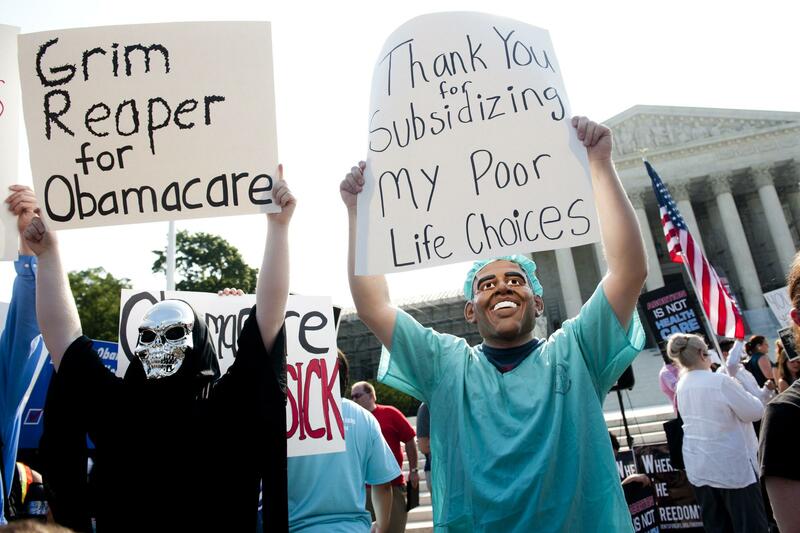 Opponents of the law, dressed as President Obama and the Grim Reaper, await a decision by the Supreme Court. 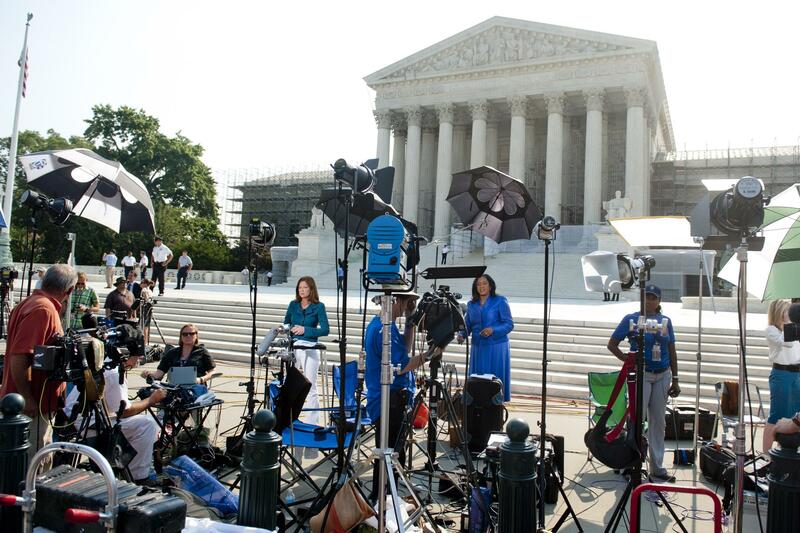 Journalists await the court's decision on the constitutionality of the Affordable Care Act, President Obama's signature legislation. 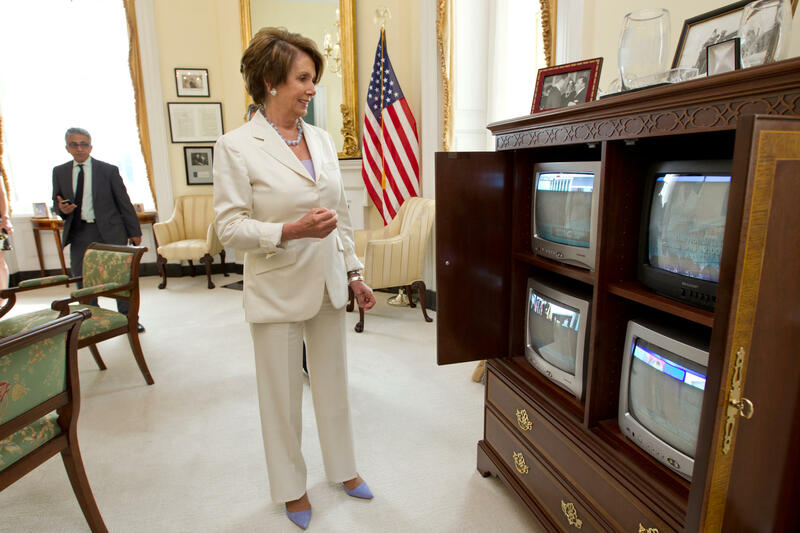 House Minority Leader Nancy Pelosi of California watches the news of the court's ruling unfold on television. Pelosi, the former speaker of the House, was instrumental in helping to pass the health care overhaul in Congress, and was at President Obama's side when he signed it into law. William Temple, of Brunswick, Ga., awaits the Supreme Court's landmark decision on health care. People wait in line for passes to enter the court. Chief Justice of the Supreme Court John Roberts speaks at the Indiana University School of Law in Indianapolis, April 7, 2010. And Eisenhower wasn't the only president to be disappointed in his pick. President Richard Nixon had his Justice Harry Blackmun; Reagan, his Sandra Day O'Connor. George H.W. Bush had David Souter. 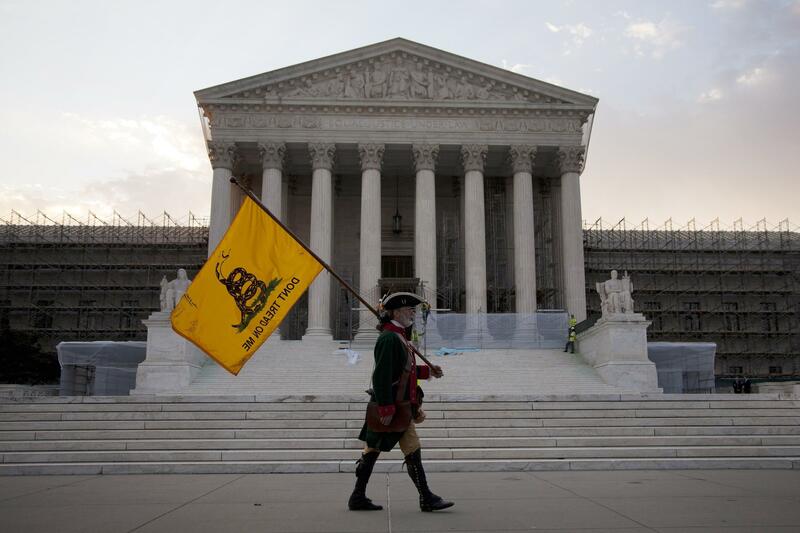 They all turned out to be different from expected once they donned their Supreme Court robes. "He's a skilled lawyer. Yes, he's got ideological leanings, but he also listens carefully to all the arguments," Michael Dorf, a professor at Cornell University Law School and a former law clerk for Justice Anthony Kennedy, said of Roberts. Dorf cautioned against reading too much into Roberts' health care ruling. "He's still basically a conservative. Anyone who thinks Roberts is the next Blackmun, O'Connor or Souter is mistaken, I think," Dorf says. This week's rulings aside, Roberts has sided overwhelmingly with the court's conservatives — Justices Antonin Scalia, Clarence Thomas and Samuel Alito against the more liberal wing, including Ruth Bader Ginsburg, Stephen Breyer and Sonia Sotomayor. But, as in the cases this week, he has also shown an occasional willingness to cross over the ideological divide. "I understand why conservatives are going to criticize him, but I think they're only thinking about what happened today and not looking at the bigger picture," said Steve Wermiel, a fellow at American University's Washington College of Law. Roberts has sought to try to bring more consensus to the court divided during the years of his predecessor, Chief Justice William Rehnquist — a court that saw numerous 5-4 decisions that split along right-left sides of the bench, says Wermiel. "From the moment he took his seat, Roberts has said he hoped the Supreme Court would do a better job of reaching consensus," Wermiel says. "He's sincerely wanted to do that, but it hasn't always been possible." Thursday marked the second time in a week Roberts sided with the court's four liberal justices against dissenting conservatives. Earlier in the week, Roberts had joined a mostly liberal bloc in a 5-3 decision that struck down several provisions in a controversial Arizona immigration law. 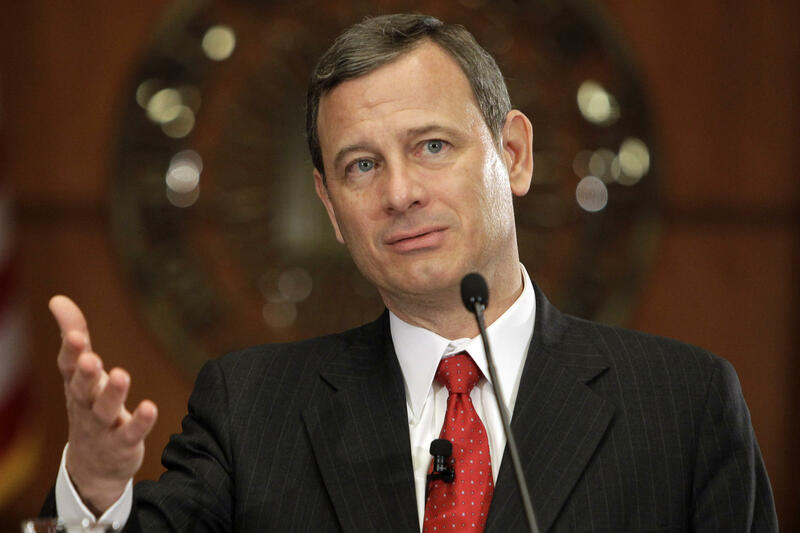 Roberts' action Thursday was enough to send right-wing commentators into a frenzy. What had happened to the man who was expected to use his chief justice clout to corral reliable conservative majorities? The Daily Caller's Neil Munro said "Robert's decision to side with progressives is a disappointment for conservatives. He was nominated by President George W. Bush, and was expected to be a reliable advocate for small government." At the National Review Online, Andrew McCarthy opined that it was "intolerable for the Supreme Court to aid and abet Congress and the president in the commission of a massive fraud."